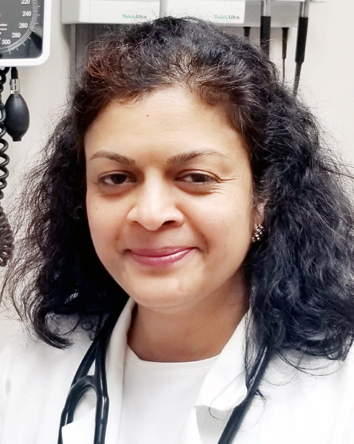 IMPCP > Our Doctors > Internal Medicine Physician > Varsha Revankar, M.D. Dr. Revankar is board certified with the American Board of Internal Medicine. She attended medical school at BJ Medical College in Pune, India and in 2003 completed her residency at University of Texas Southwestern located in Dallas. Dr. Revankar has worked at the VA Hospital and Henry Ford. She is currently on staff at William Beaumont, St. Joseph Mercy Oakland and Detroit Medical Center. With her private practice located in Bloomfield Hills Michigan. She enjoys treating all patients like they are family with compassion, and has an excellent rapport with patients and their families who have trusted her with their care. Congratulations to Dr. Revankar for being on the Top Doc list 2018 in Hour Magazine!